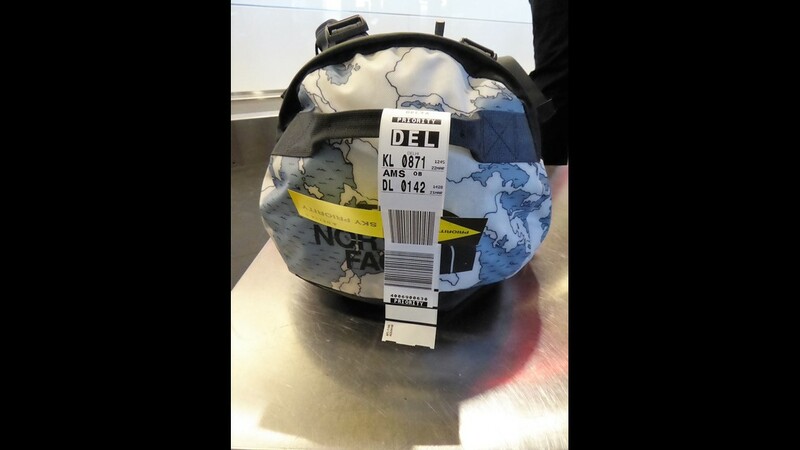 A bag gets tagged at check-in witha traditional label - with Delta's RFID tag embedded as well. 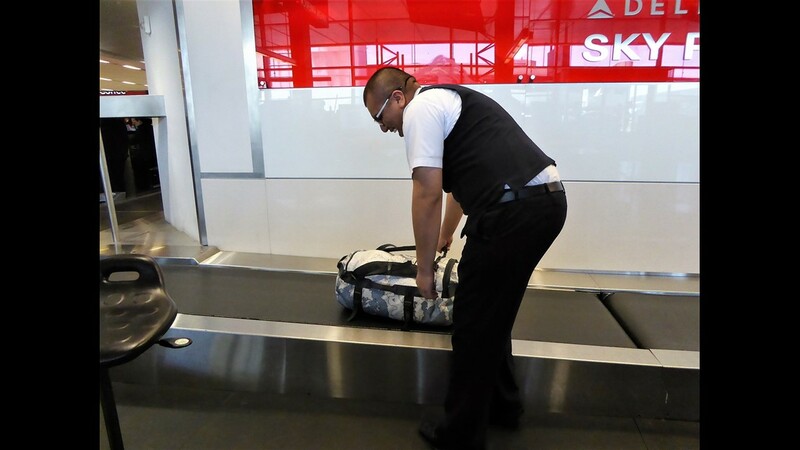 A Delta Air Lines counter agent puts a checked bag onto the belt behind the check-in counter. 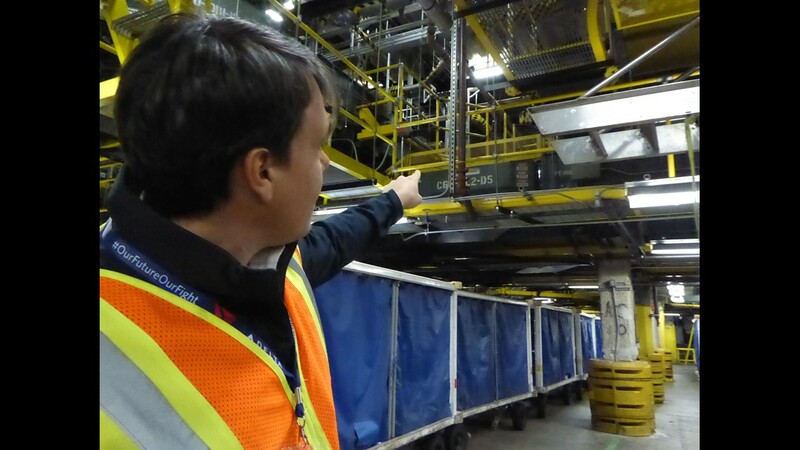 Delta Air Lines' Dereck Howard points to the freeway-like conveyor system through the airport bag well. 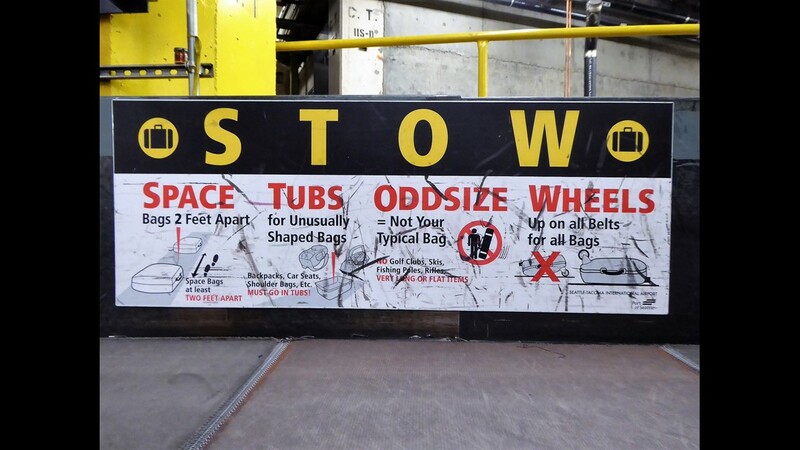 Oversize and odd-size bags don't travel through the conveyor system. 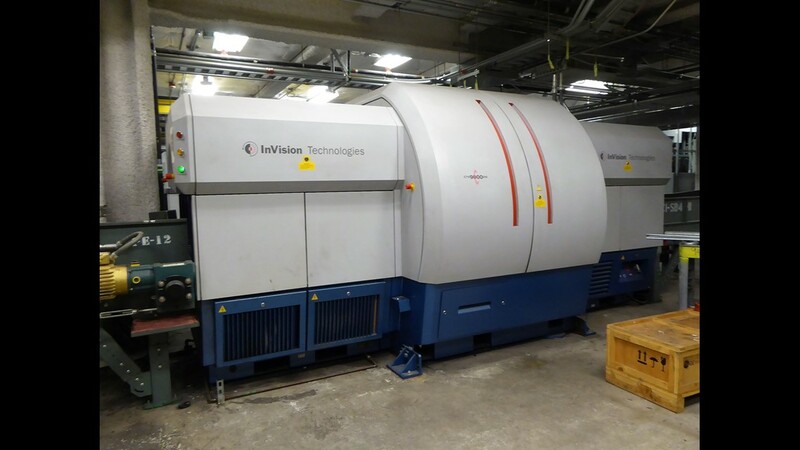 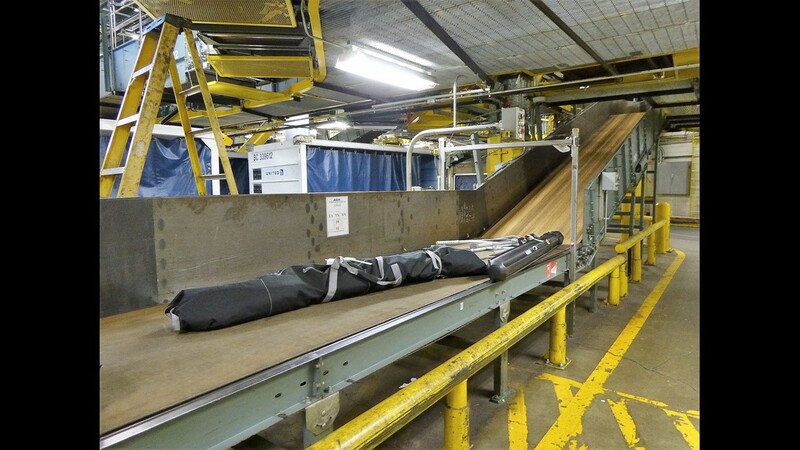 The conveyor system first takes bags to and through the TSA's explosives detection system machinery. 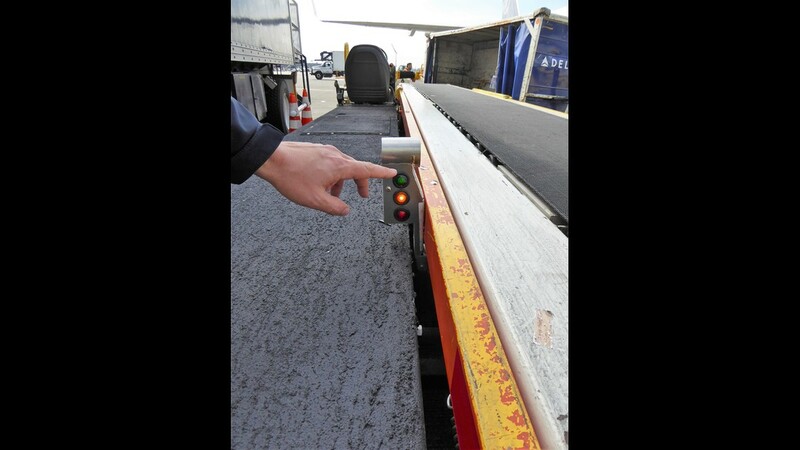 Diverters help guide bags to different areas, or ramps, of the bag well "freeway" system. 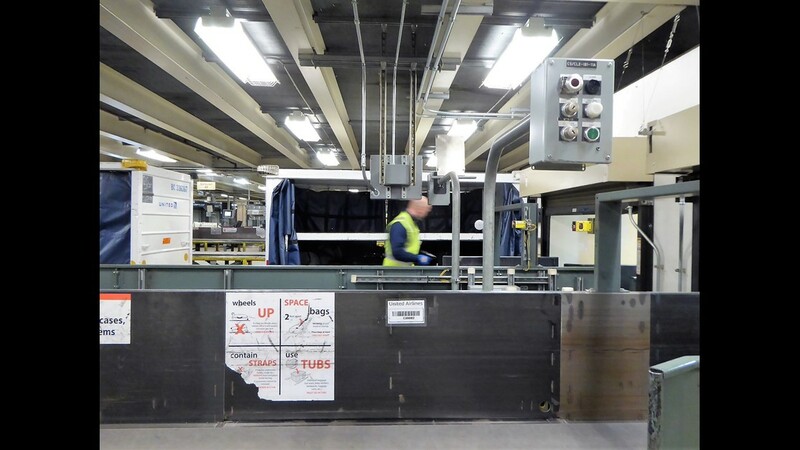 Kim Farrington, a Delta Air Lines ramp agent at Seattle-Tacoma International Airport, transfers a bag from the makeup area to a cart heading to a flight. 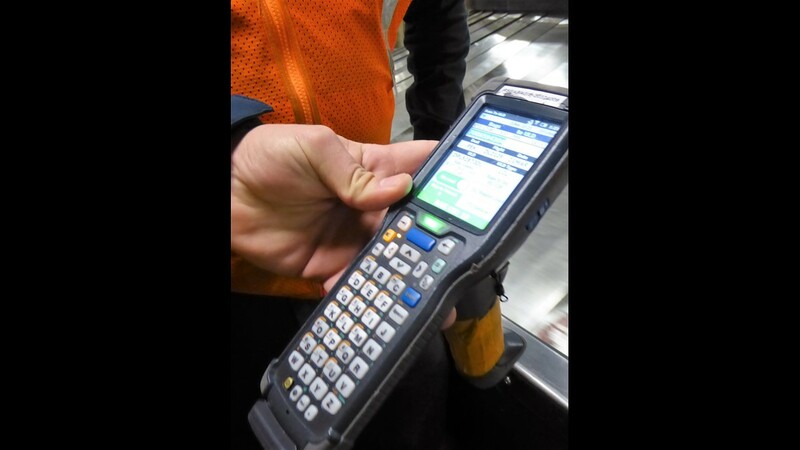 Kim Farrington uses a handheld scanner to identify bags he needs to pull off the makeup carousel for his flight. 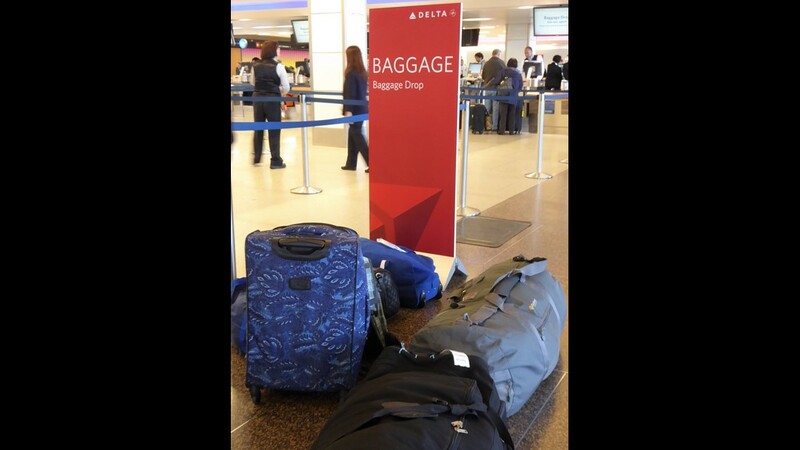 Bags headed for a variety of flights are routed to each makeup area in the bag well at Sea-Tac. 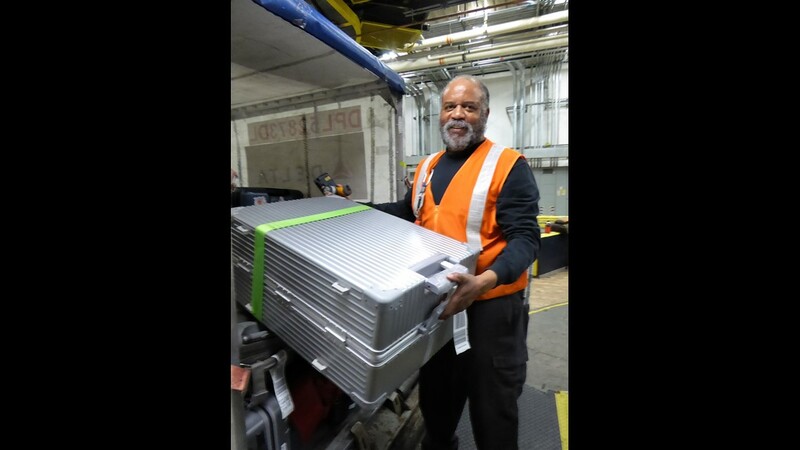 Delta's Dereck Howard points out the flights these bags will be loaded on. 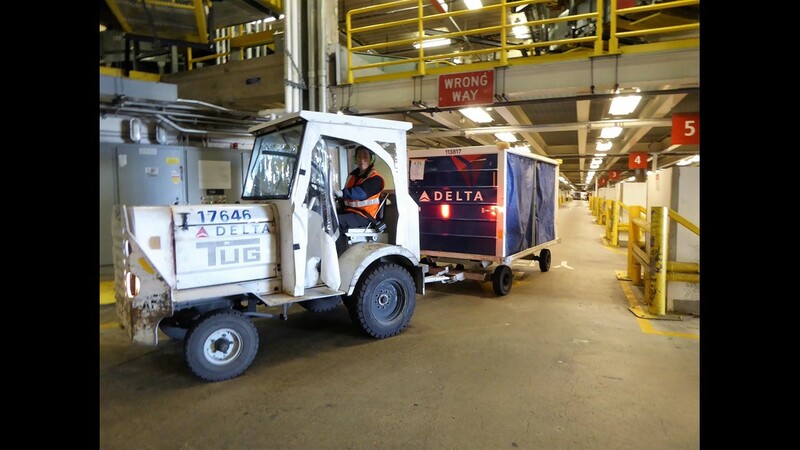 Baggage carts head out to a flight. 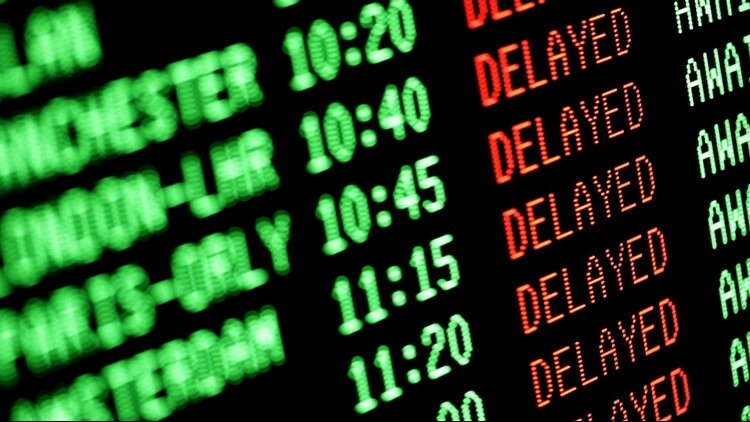 It can get hectic in the bag well, but the speed limit for tug drivers is 5 mph. 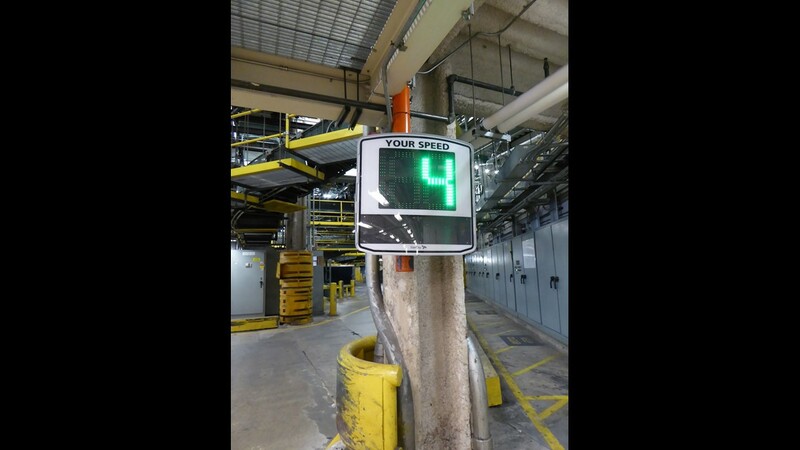 Drivers going over the speed limit do get tickets. 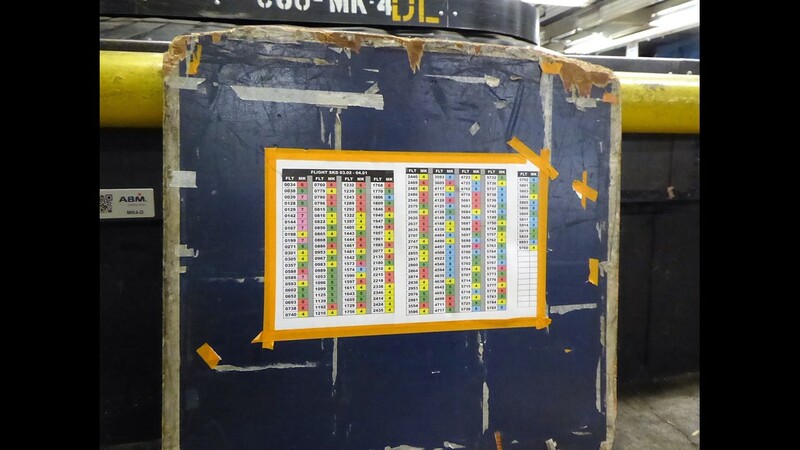 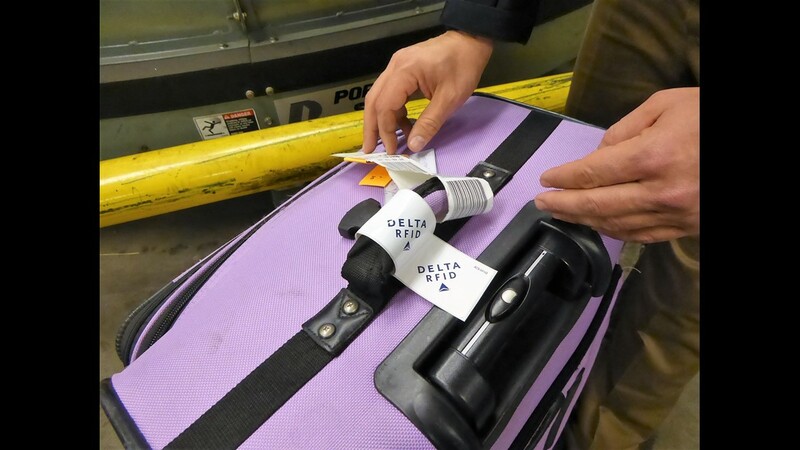 A photo eye on a Delta Air Lines loading ramp can read the RFID tag embedded in luggage labels and alert passengers via an app that their bags are loaded. 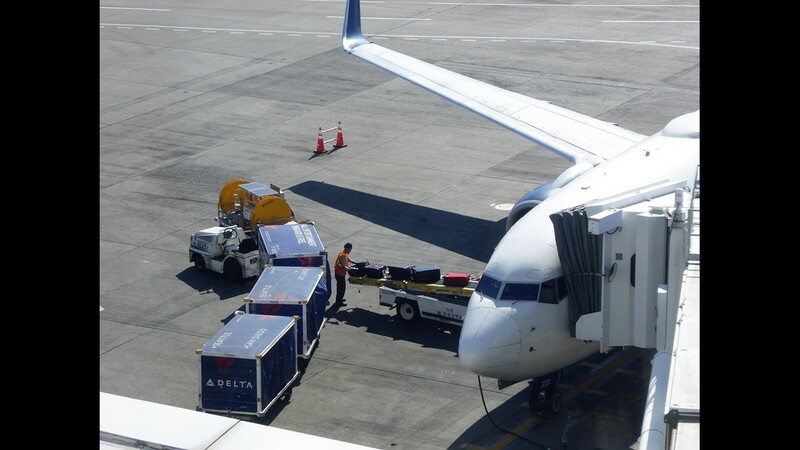 Bags are transferred from a cart to an airplane. 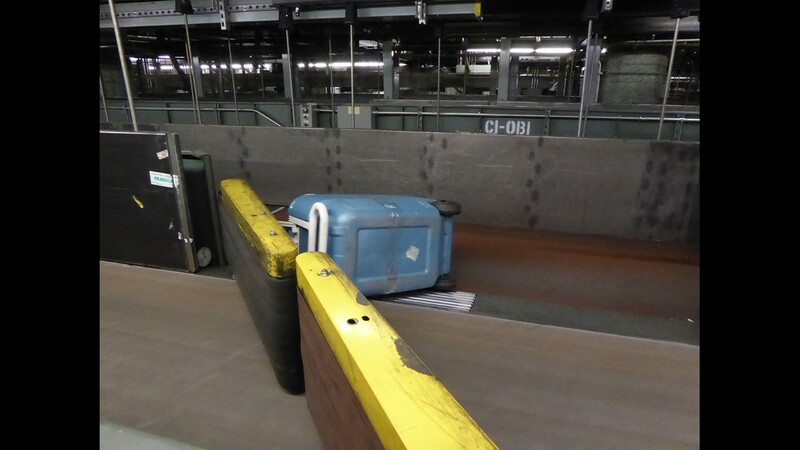 A bag handler transfers inbound bags to a conveyor that will go to bag claim. 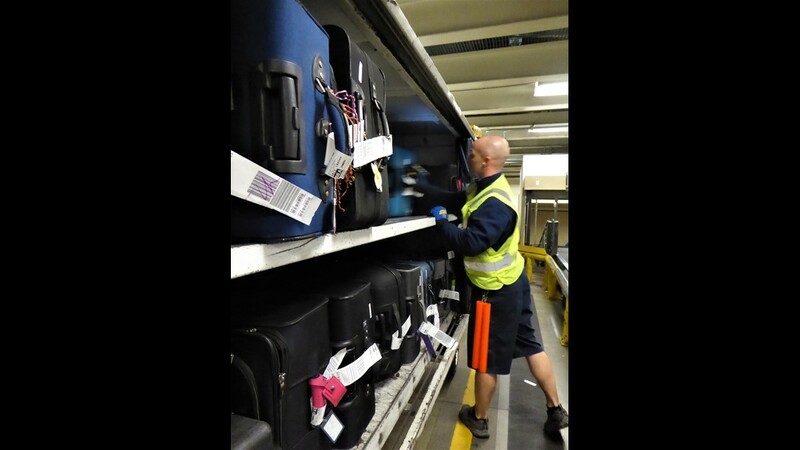 A bag handler gets ready to empty a cart of inbound bags onto a belt that will take them to bag claim. 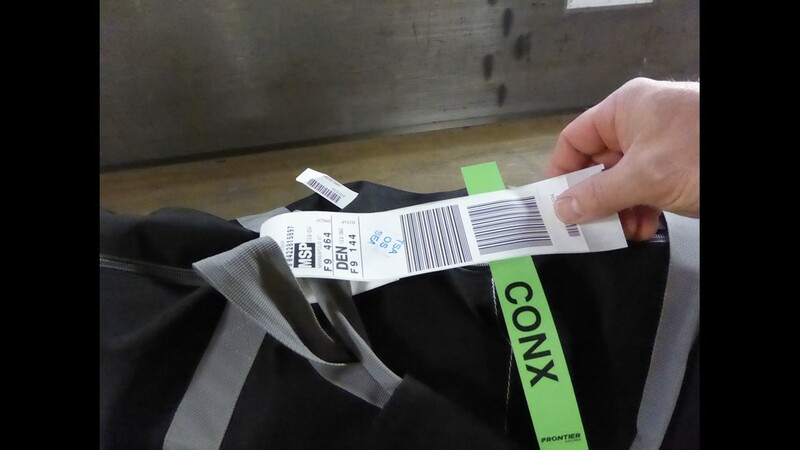 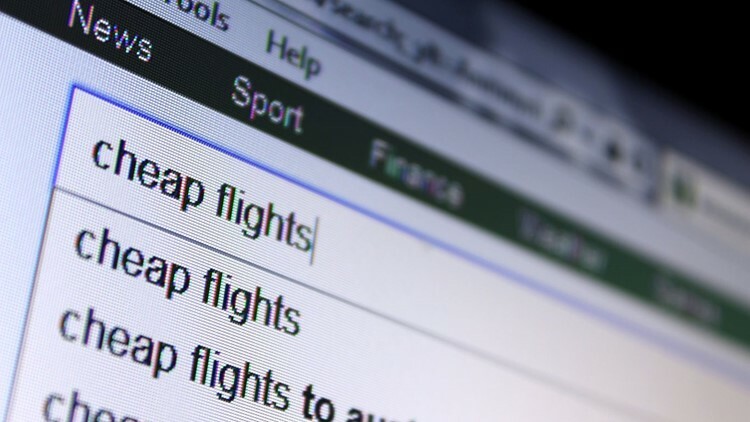 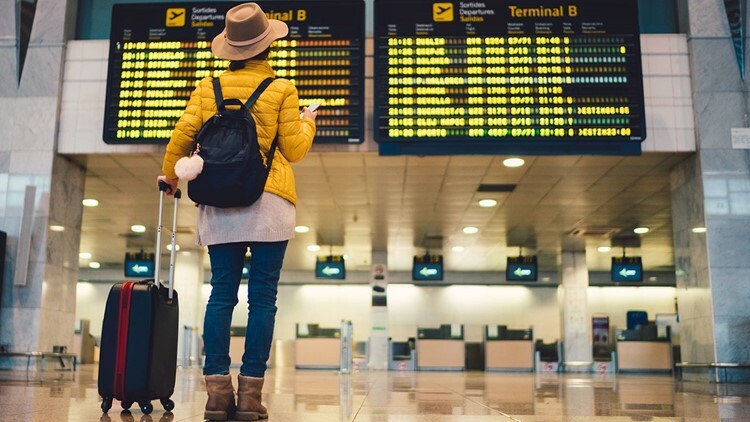 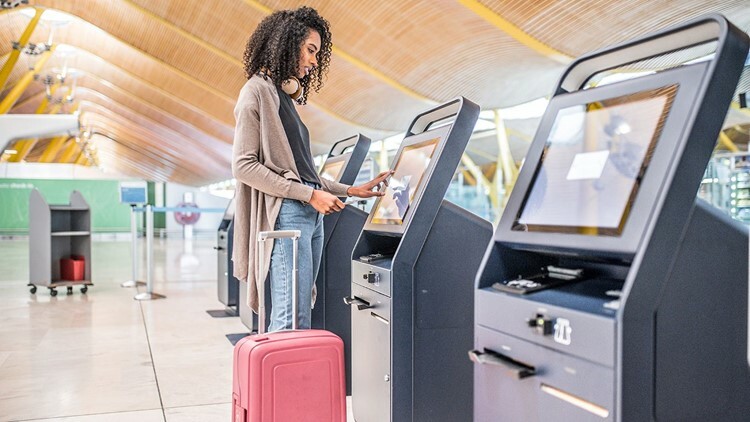 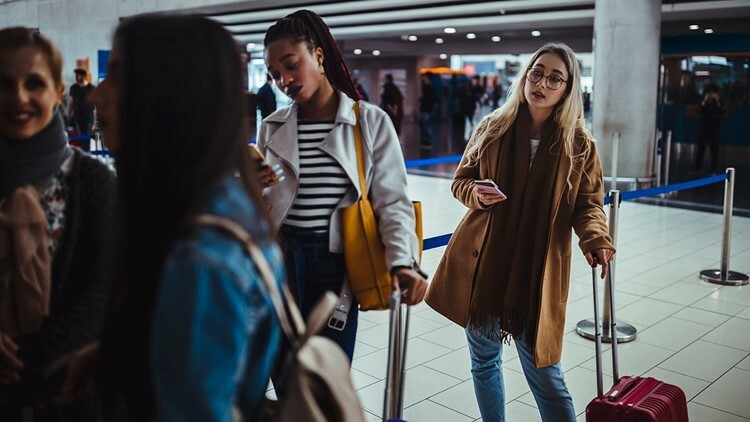 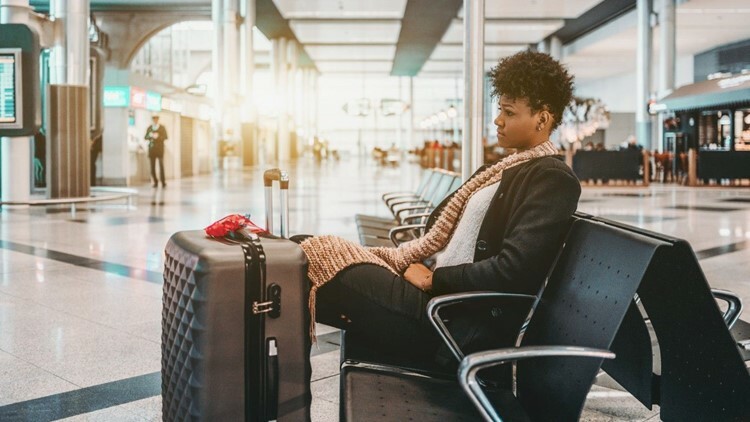 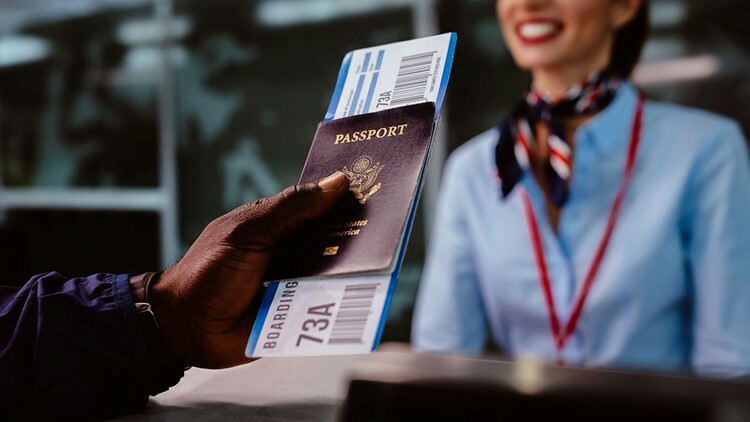 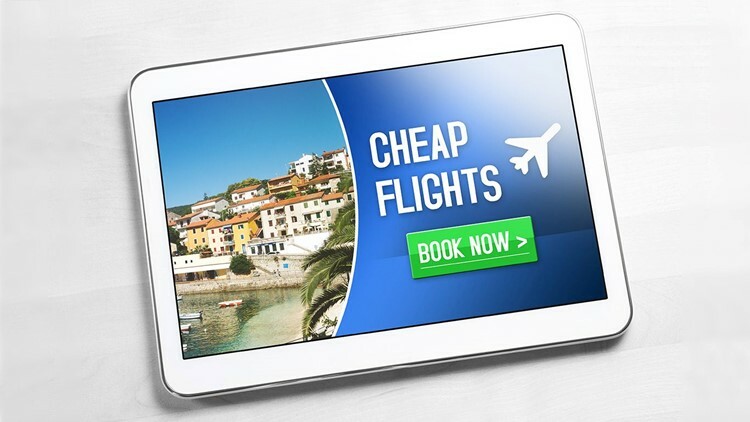 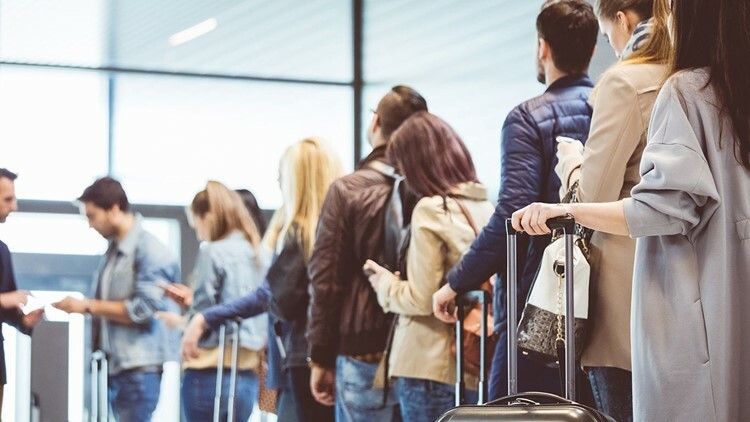 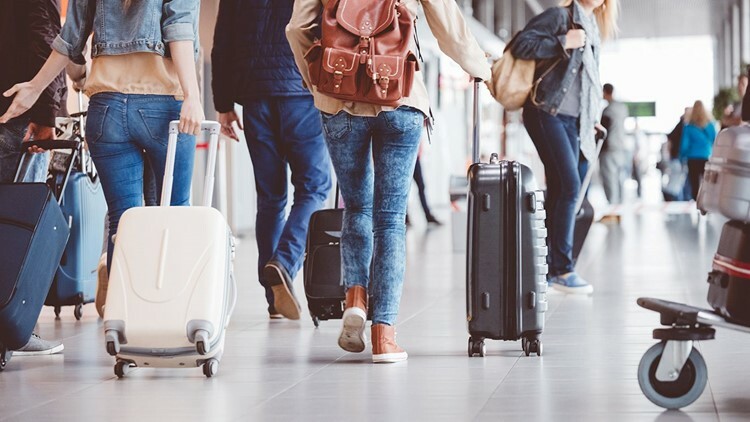 Delta and some other airlines add or embed an RFID tag in addition to the traditional 10-digit luggage label. 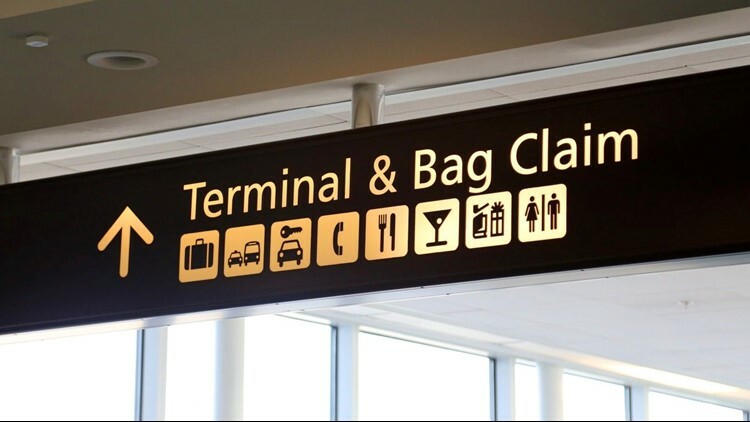 Good "bag hygiene" can help keep bags from going astray. 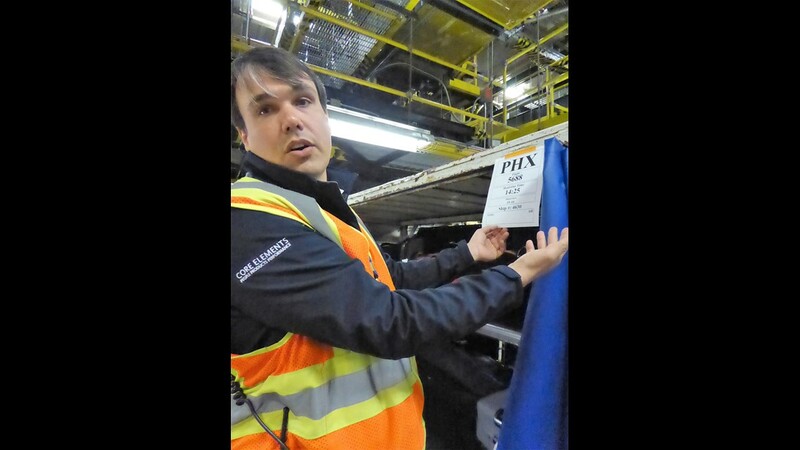 Bag handlers practice good "belt hygiene" to keep things moving smoothly. 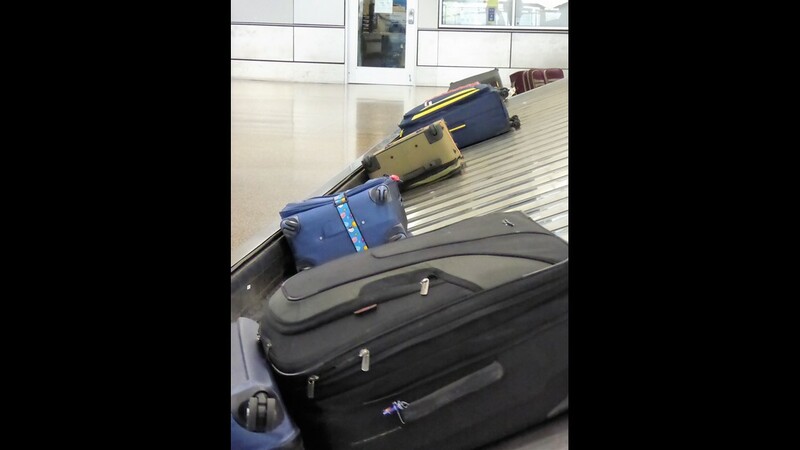 Bags arrive at the SEA baggage claim. 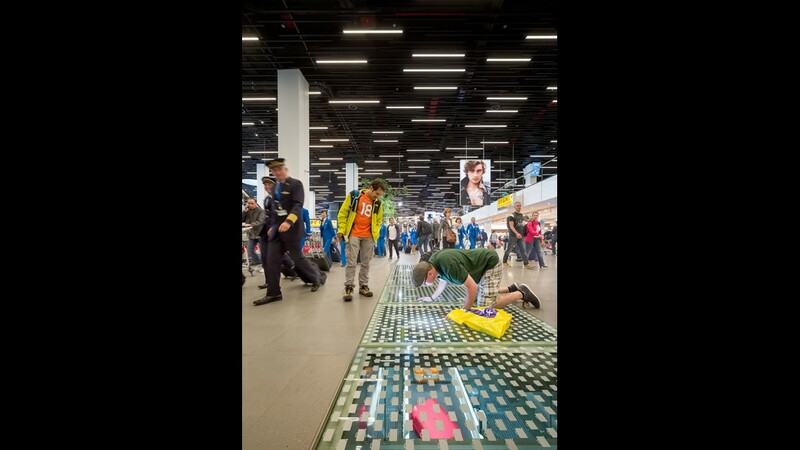 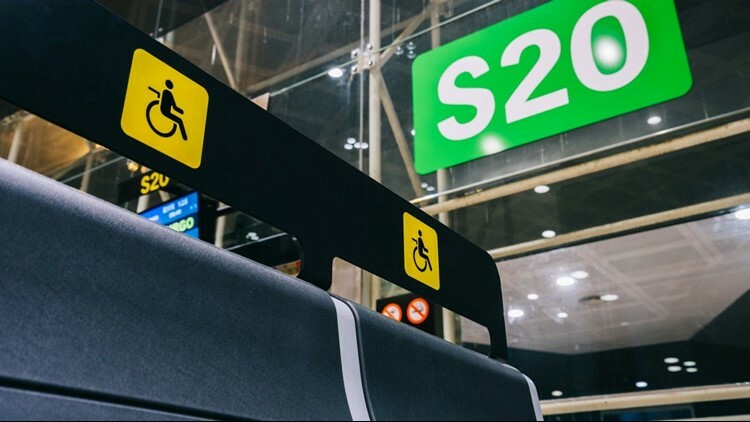 At Amsterdam Schiphol Airport, passengers in the terminal get a look at the baggage conveyor system through a clear panel in the floor.